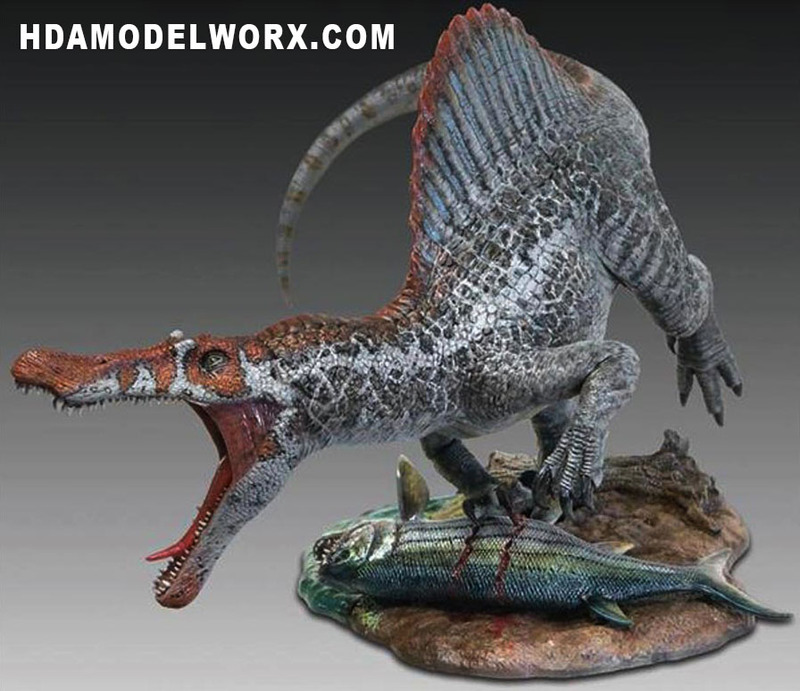 From Pegasus Hobbies comes one of several dinosaur kits in vinyl. 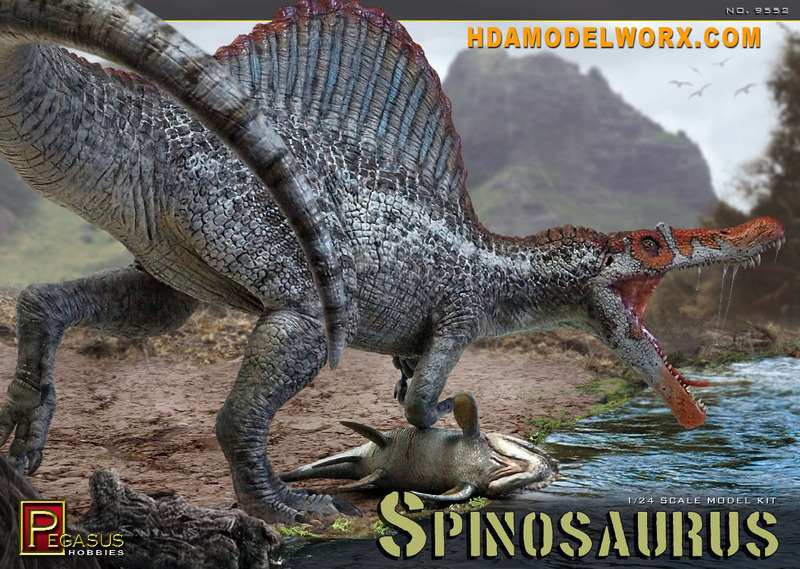 The Iconic Spinosaurus dinosaur. The Spinosaurus may be the largest of all known carnivorous dinosaurs, even larger than Tyrannosaurus and Giganotosaurus. Estimates suggest that it was 41 to 59 feet in length and 7.7 to 23 short tons in weight. The skull of Spinosaurus was long and narrow like that of a modern crocodilian. Spinosaurus is known to have eaten fish, evidence suggests that it lived both on land and in the water like a modern crocodilian. The distinctive vertebrae spine sof Spinosaurus grew to at least 5.4 feet in length. Kit includes (1) Spinosaurus in 11 pieces, (1) Xiphactinus in 6 pieces, and display base. Kit requires epoxy or cyanoacrylate (CA) glue. Paint and glue not included. Made from solid vinyl and extremely detailed. Heavy kit due to solid vinyl.